FK talks to Keir and Asha of Melbourne label, Angus & Celeste who will be debuting at our upcoming Sydney markets! 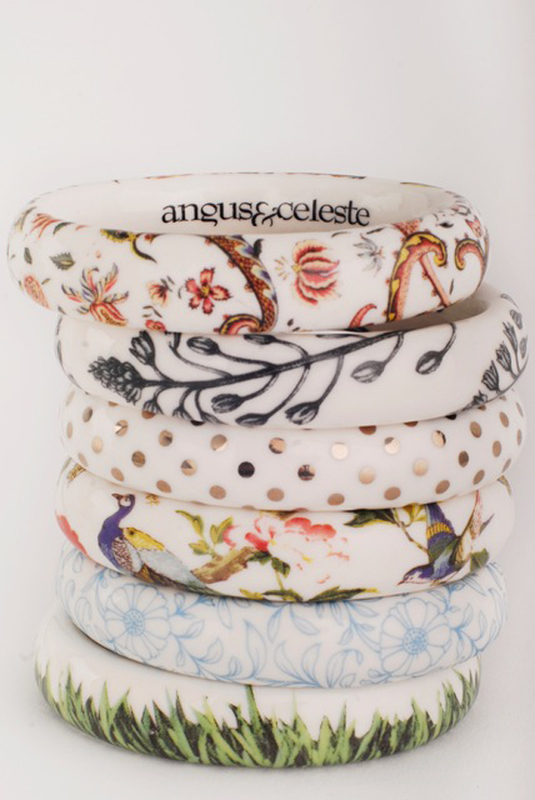 Tell us about your jewellery and homewares label Angus & Celeste and what we can expect to find. 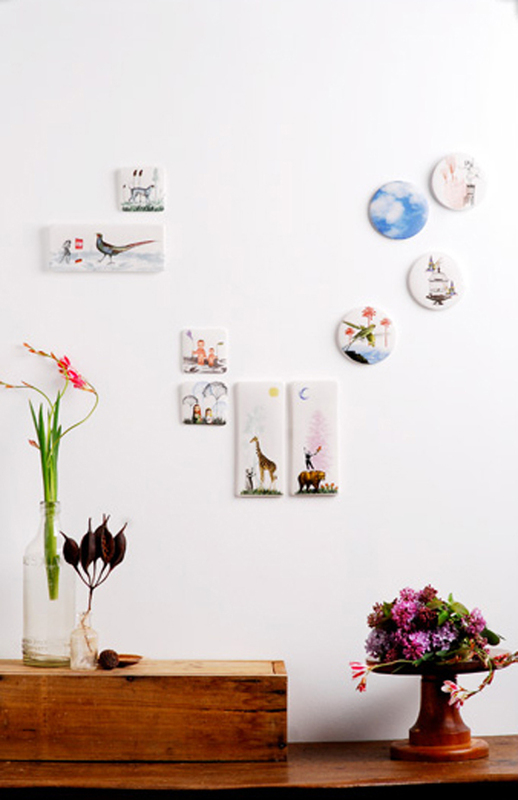 Our jewellery and homewares label was born and out our need to create works that were not too big, while we were living in a very small terrace house in the inner city of Melbourne. What was originally a small range of jewellery soon expanded to a range of home wares that now makes up a bulk of what we do. We needed more space so we bought a house and moved to the hills. We really like to use lots of bright colour and love the way this works against the ultra white porcelain clay body. We try and give all our pieces a real sense of fun. We will be launching a new range of large vases at the Finders Keepers in May that will incorporate a series of our new illustrations. How was Angus & Celeste started and how has the journey been in developing your label. Angus and Celeste began as a way for us to work together and utilise our different and varied skills. Our label is very much a collaboration. This was challenged after the birth of our son four years ago, as fitting parenting into the running of a label meant for some very busy and chaotic times. It has been a slow yet steady development, we never give up and make every spare moment count. Becoming parents quite unexpectedly really changed our work ethic. No more aimless mucking around and just pure hard work. We just love making new products and feel very energised and excited when new things are ready to show people. As soon as we finish one thing we are beginning the next. We have a very faithful client base who like to visit us to see what we are up to. Explain your mantra ‘filling the void between traditional and modern’. We try to create in a vacuum and not follow trends and fashions. 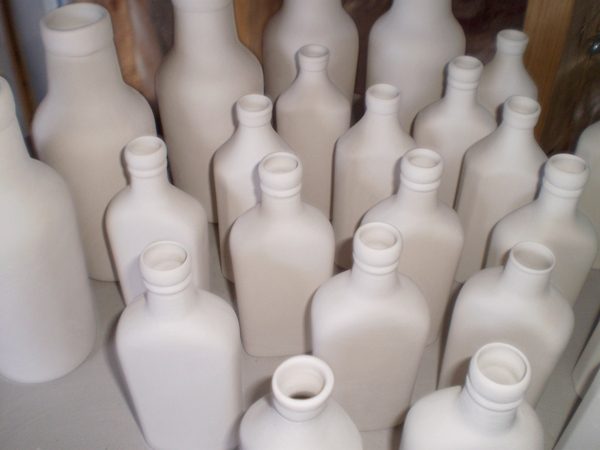 We combine modern ceramic techniques with traditional production methods to create something that walks a line between handmade and highly refined. We are both incredibly inspired by things from the past, yet we are also inspired by modern design and shapes. There is a wealth of imagery in the archives of engravings and pattern that has been looking for reinvention, we try and give these images a new lease of life by changing their context and combine them with our own original illustrations and photographic imagery. How does your partnership work and what have you learnt working with each other? More often than not, we each have favourite products and they are usually different! If Keir thinks a pattern should be blue then Asha will say it should be red! This can sometimes be challenging, however we have learnt to take each others opinions and criticisms on board and it usually makes for a better final product. There is a little bit of both of is in everything we do, which makes us more dynamic and usually means that our range appeals to lots of people. Where do you go in Melbourne to get creative? We work from our studio at home and any opportunity to get out of the house is greatly welcomed! Work usually overtakes every bit of space and any surface that is free. We both go to libraries and bookshops a lot and books are usually a great source of inspiration. We live on the edge of a big forest now where we go for lots of walks and usually come home with leaves rocks and things we found along the way. The forest is fun! What can we look forward to seeing in the future from Angus & Celeste? 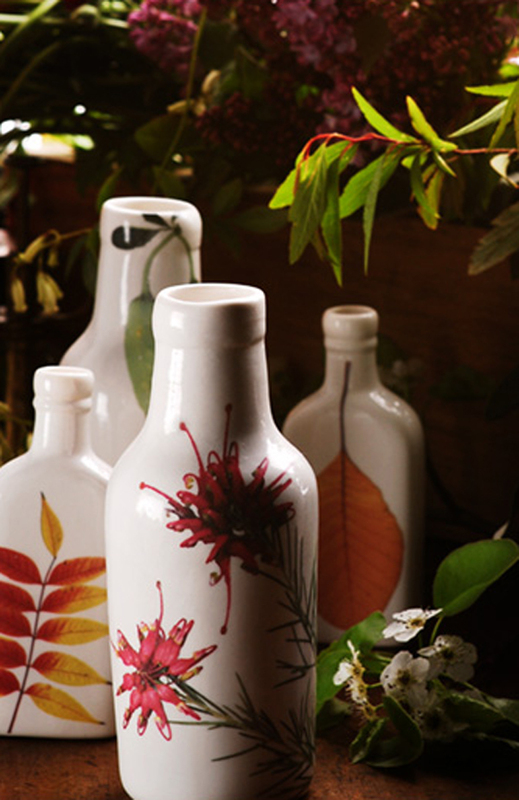 We are really going to develop the homewares side of our label as we both really enjoy this aspect of our work. Larger scale pieces are definetly on the cards as well as a constant re invention of everything we currently do. We are both have a tendency for getting bored easily so we are always working on new products. This year will see a release of some things for gardens and this is very exciting for us. The items that I viewed are delightful.